Joshua takes on dangerous Russian Alexander Povetkin next week at Wembley stadium. So far 76,000 plus tickets have sold for the fight in the first Joshua bout in some time not to sell out instantly. Perhaps fans have their eyes on a Joshua vs Wilder or Joshua vs Fury fight – but Povetkin is not to be underestimated. No Dillian Whyte in there who he’d probably have at number four but an interesting list nonetheless. 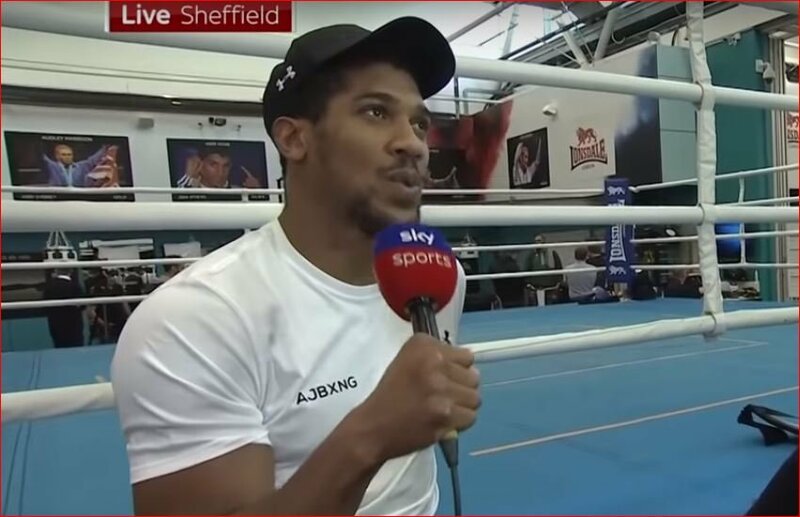 Pressure is probably at an all-time high for Joshua at the moment but then again, so are the rewards. A win on the 22nd could set up a super fight next year against the winner of Wilder vs Fury. The fight on September 22nd will be shown live on DAZN in the US and on Sky Sports box office in the UK.